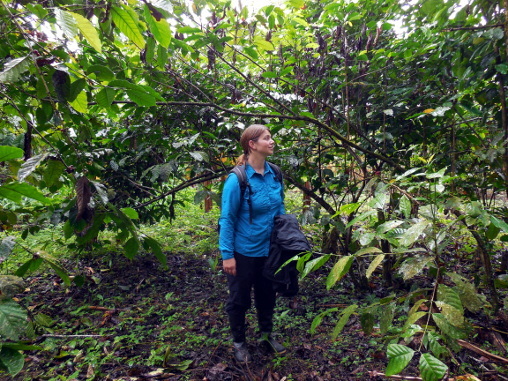 Rukullakta – old people – is located in Ecuador’s Amazon Basin close to Tena. 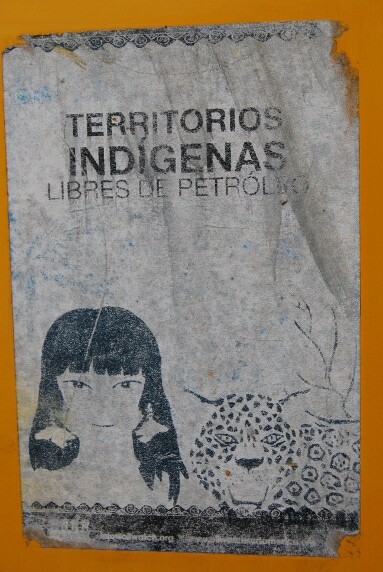 The organization of the “Pueblo Kichwa de Rukullakta” (Kichwa peoples of Rukullakta) consists of 17 indigenous communities and was established in 2006. They sell their products directly as a cooperative. 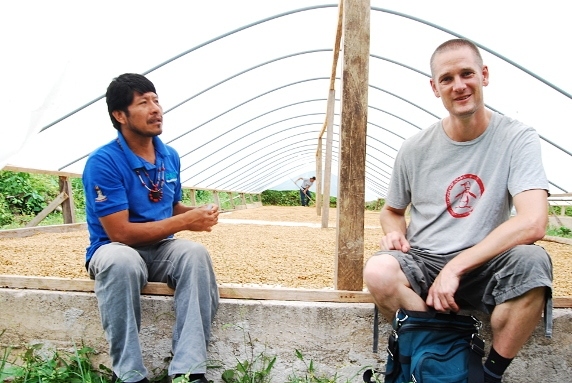 Together they support the cultivation and production of high-quality washed coffee beans. They observe ecological criteria and work their fields in harmony with nature according to the Chakra principle. 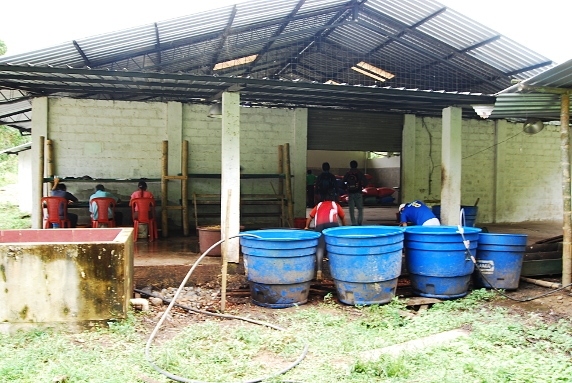 The coffee is washed, sorted by hand and dried in six tents at the well-equipped production facilities in Rukullakta. The tents are necessary because it rains every day here. We provide 60% of the financing for this coffee every year in April. 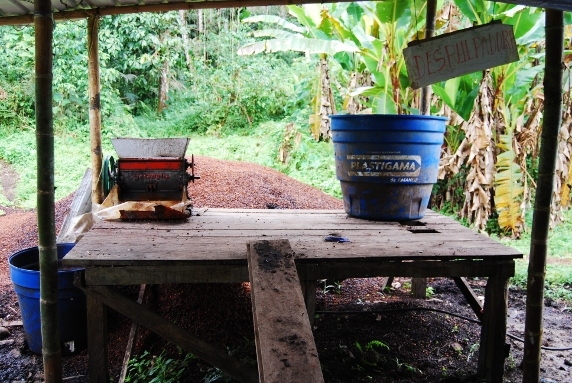 The current representative, Augusto Salazar, is the driving force behind the commitment to cultivate robusta. The “Pueblo Kichwa de Rukullakta” are very militant when it comes to protecting their cultural heritage. They have asserted their right to have bilingual lessons at their schools in Kichwa and Spanish, for example. We will try to strengthen our relationship with Rukullakta step by step over the coming years. But this requires time, which is not surprising when you consider the centuries of colonial exploitation.